My parents are farmers in Okayama, which is located on the west side of Japan. When my grandfather became ill, my father gave up his childhood dream to study music outside the country in order to take over the farm. They grow spinach in winter and eggplants in summer . I was born and raised in this environment. 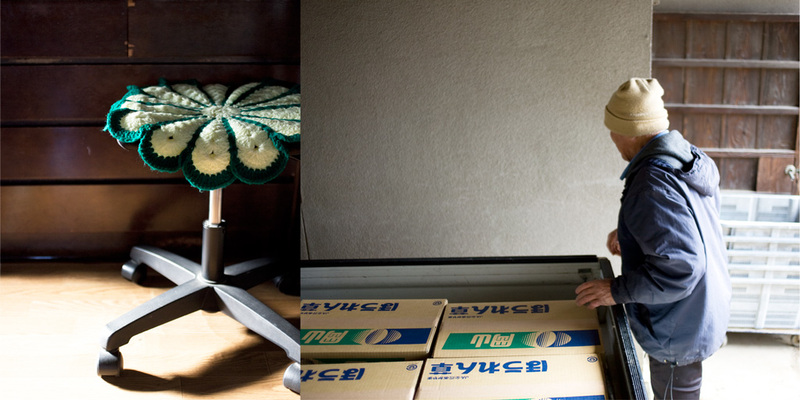 During my recent visits to Japan I began to photograph them working at the farm . Honestly, I had never been interested in farming and what they do until a decade ago when I moved to California. By taking photographs, I am able to observe them more carefully and see what I didn’t see in the past. They have been farming years and years under any circumstances, but never the same conditions. My father says he still learns farming every day, every year. They work and their time moves with a slow but vigorous tempo, like the rhythm of music. I perceive them – what they do and what they have been doing since I was little — through the lens.